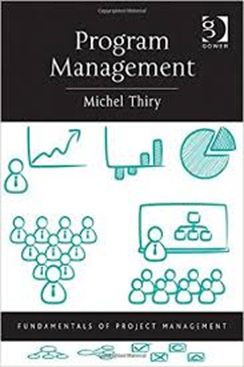 ProThoughts collaborates with Michel Thiry and his book on Program Managament. This is regarded as one of the pioneers in the Program Management space. The focus is not only to get you the coveted PgMP® Certification but also you can learn on how to apply the Program Management concepts in your organziations and have the cutting edge in your career growth. be able to promote better integration and coordination of multiple projects for the overall benefit of the program. Date : 16th, 17th, & 24th March 2019. ProThoughts have designed the workshop for PMP preparation in a manner that it makes you understand the logic very easily. Ashish has Ben a wonderful coach and teacher which made this learning easy. The sessions were really great and helped in clearing the concepts well. Ashish sir also helped in overcoming the mental pressure for giving exam by sharing the strategy and tips. I just attended the training at ProThoughts for PMP and to describe it one word it was just excellent. A definite recommendation for anyone who is looking for PMP certification. Program Management Certification is one of the upcoming certifications to manage projects and programs in a complex environment. India and especially Mumbai, with its dynamic landscape and fast life, is a perfect place to apply the Program Management techniques. Program Management certification in Mumbai offers you the best practices to manage complex projects in this kind of environment. Program Management training and PgMP Certification in Mumbai can give the participant a cutting edge in his / her career to apply strategies and techniques, and bring more value to the organizational strategy. ProThoughts offers PgMP Certification in Mumbai with their unique "Game based Interactive" methodology where you some learn some complex strategies and techniques in a more engaging way. Program Management Certification in Mumbai can be your sure way to climb the corporate ladder and gain some new strategic learning skills. Many participants have been already a part of PgMP Training in Mumbai and we are looking to grow this community in the near future.